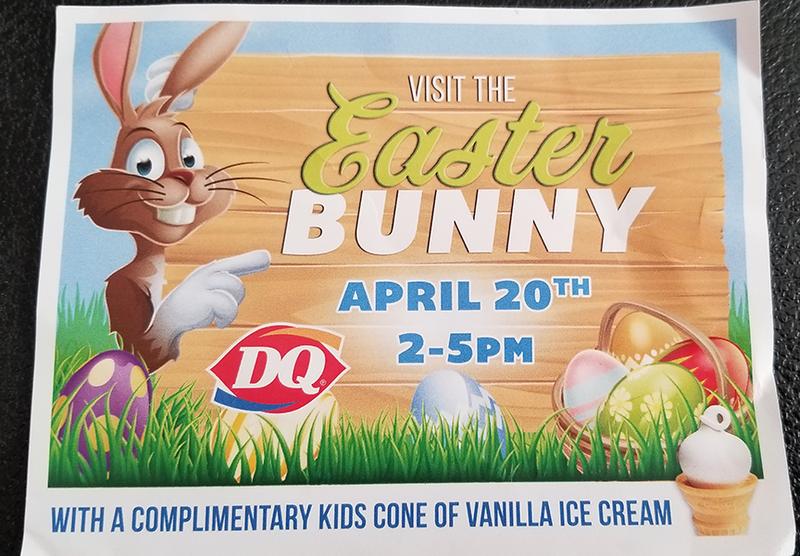 Dairy Queen in Christiansburg, VA presents a Visit with the Easter Bunny on Saturday, April 20, 2019. Visit with the Easter Bunny and kids will receive a complimentary cone of vanilla ice cream. To view the event flyer, visit: https://i.imgur.com/4IpbJDv.png. For more information, visit: http://www.dairyqueen.com/us-en/locator/Detail/?localechange=1&&store-id=13443 or https://www.facebook.com/DQ15442 or call 540-251-3414.